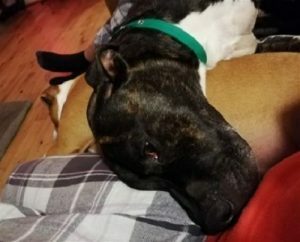 Please help Jethro by sharing this page! 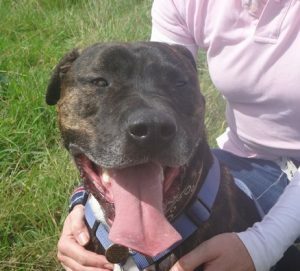 Big, soppy Jethro is a laid back Mastiff cross of 7 years. He’s been in kennels for far too long! He’s usually in Rescue Remedies’ kennels in Gatwick, Surrey. 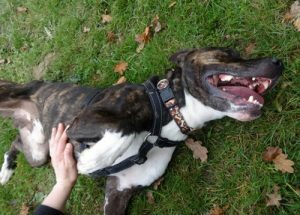 For the moment, he’s in a temporary foster home nearby, as he’d been losing weight with the stress of kennel life. 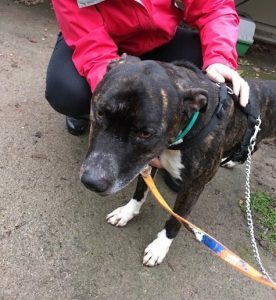 This is just a holiday for him though, due to the foster carer’s work commitments, and his need for a forever home is urgent. … and good with other dogs too. 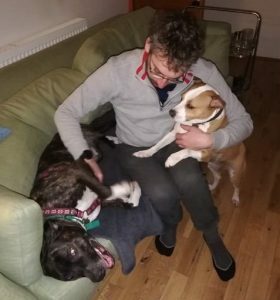 He’s proven he can live with another friendly dog, preferably female as there’s a resident dog called Bella at his foster home, who he gets on with very well. She makes a nice warm pillow for him! His foster carer said, “My first surprise was that Jeth is fully house trained. He hasn’t forgotten where he should do his business, huge credit to him! He is so full of love, he’s not shy in giving affection and just wants to lollop all over you, whether you are human or canine. He is a very good boy and settles easily if, for example, you are working from home, a few gentle nudges to try his luck but if you ignore him, he just goes and lies down quietly. Jethro really is a gentleman. Here he is meeting a girl in a wheelchair. Isn’t he a beautiful soul?! 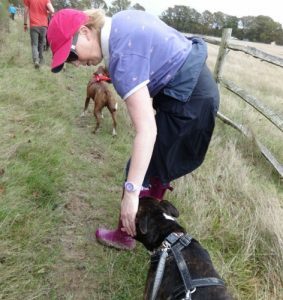 He is a big boy and he can be strong on the lead, especially at the start of walks. He settles down OK but will need an active owner who can handle his enthusiasm for getting out and about. A secure garden is a must, as he’s so sociable, he will jump a 6 foot fence if there’s another dog to meet on the other side. Some strategic trellis might be needed at the top of a normal sized fence! 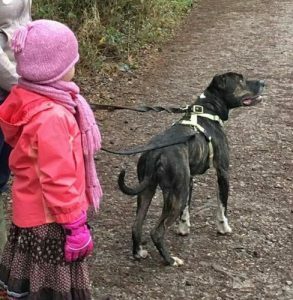 His foster carer keeps him on a long line when they’re on walks too. Jethro is the ultimate cuddle monster. He LOVES a tummy rub! 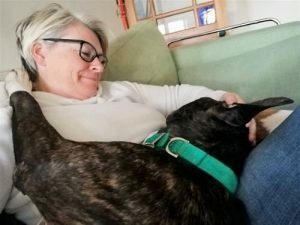 …or if you invite him, he’ll put a paw on each of your shoulders and let you lay your head on his chest – it really is the most therapeutic thing ever! 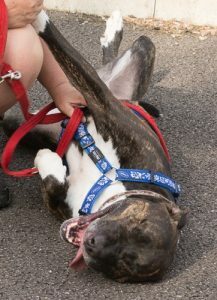 Please consider adopting Jethro. He’s one of those special dogs that don’t come along very often. To read more about him and see many more photos on his forum thread click here. 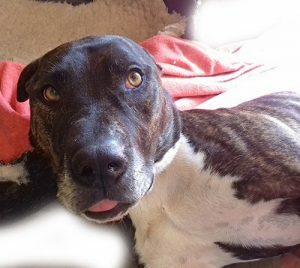 If you might be able to give Jethro the forever home he deserves, please contact Rescue Remedies by filling in their online application form. 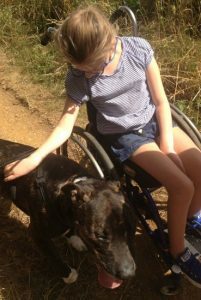 Please say you saw Jethro on the Oldies Club website. This replaces Jethro’s original page dated 10th August 2018.